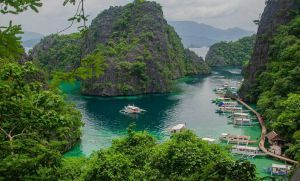 Located at the northwestern tip of Panay, this small island has meanwhile become the number one tourist destination of the Philippines. It has also been voted in 1990 as one of the best beaches in the world by the BMW Tropical Beach Handbook. 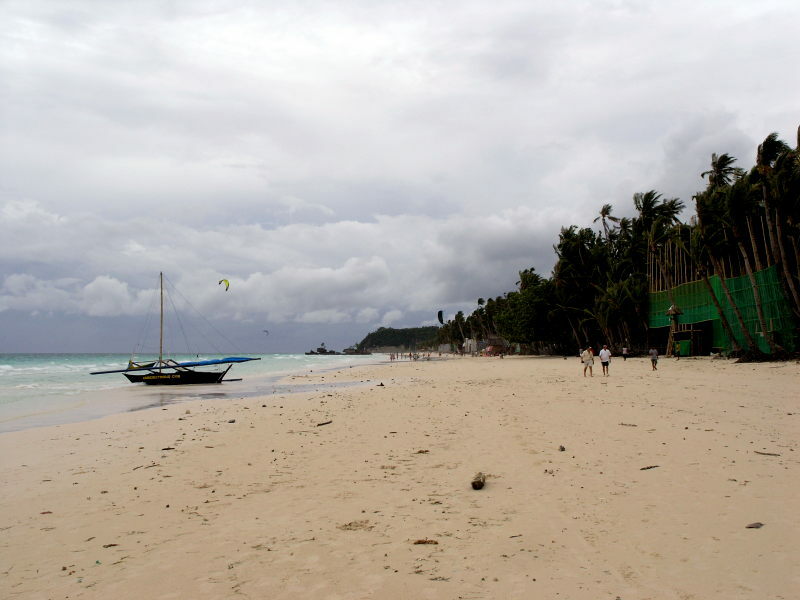 The British Publication TV Quick in its issue of December 21, 1996 gave the latest accolade for Boracay as the number one tropical beach in the world. The island roughly shaped like a dumb-bell, is 7 kilometers long and the narrowest spot is nearly 1 kilometer wide. The best part of the island is its 4 km. “White Beach”, also called long beach by the locals. It is situated at the West Coast between the villages of Angol and Balabag, and some experienced travelers claim it to be the finest beach of all Asia. The water is shallow here, and its sand brighter and finer than most beaches in the archipelago. There are about 350 beach resorts with 2000 rooms to suit virtually everyone’s taste. There is accommodation of all types and price categories. Restaurants range from the native fast-food stalls to establishments that would satisfy even a gourmet. One can find beer joints as well as discos with amazing light and sound equipments. 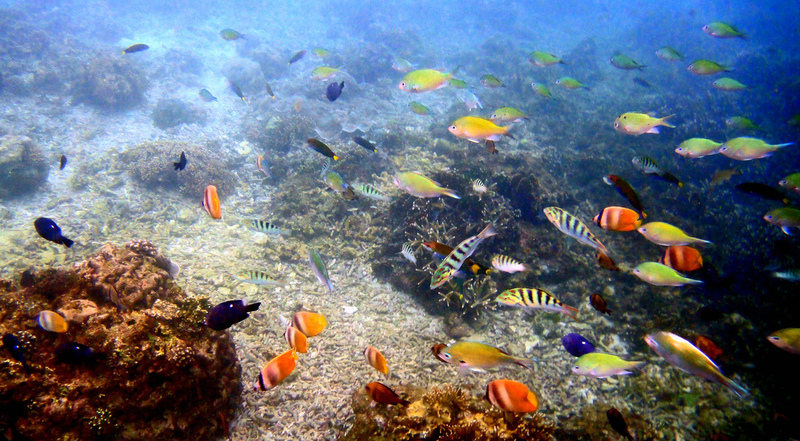 Those interested in fascinating underwater scenery can take part in diving courses in any PADI accredited diving school. The island has a well established road network. Mountain bikes and motor bikes are available for rent. Tricycles (motorized bikes equipped with a sidecar) are ideal for touring the island at 150/hour. 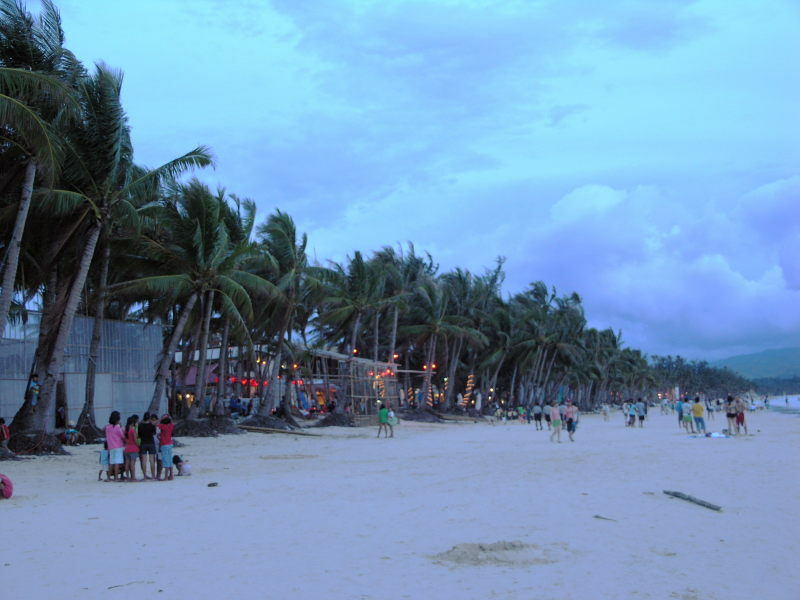 Boracay establishments offer economy, superior and deluxe accommodations. Price ranges from as low as P300 ($12) to P3500 ($130). Indicated prices are those of peak season, which is somewhere between December to March. The rentals during low season decrease by 50 per cent or even less. 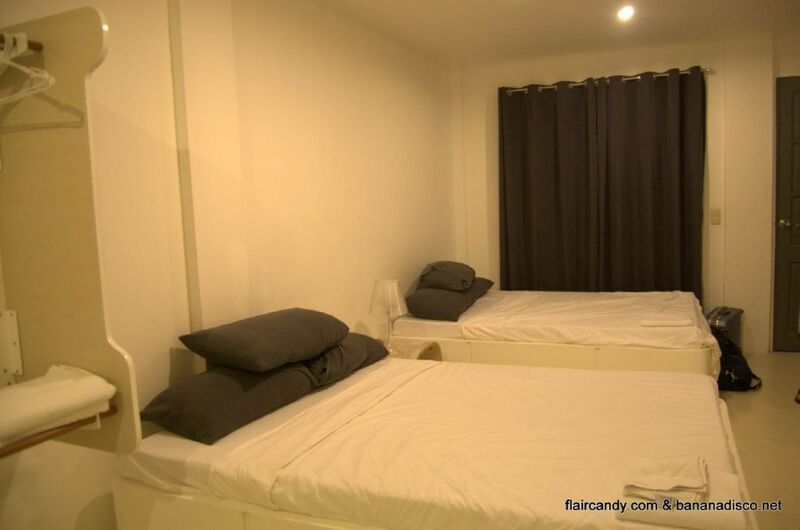 However, rates can be negotiated, especially for long stays. Price categories refer to a cottage or room for two persons, having a verandah and a private toilet and bath. 220V electricity is available on the island. 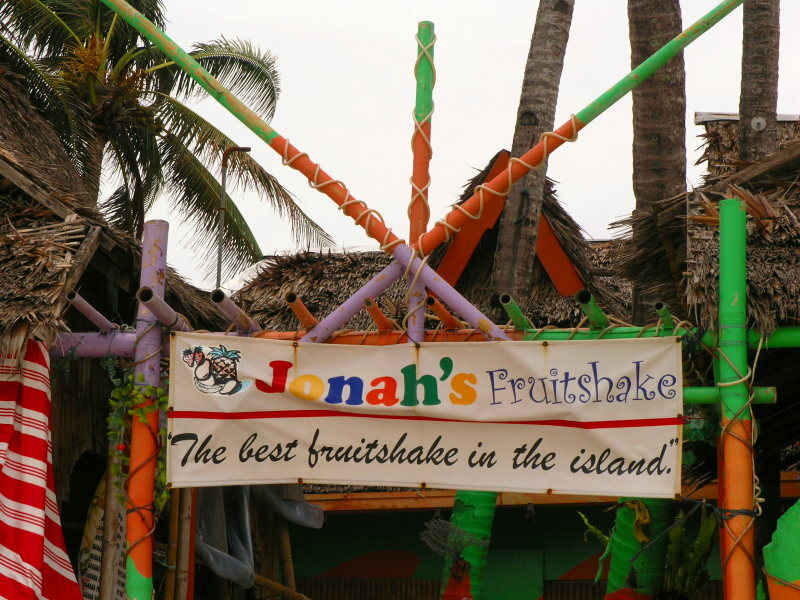 Aside from numerous small snack bars and fast-food counters, a whole line of excellent restaurants with international dishes and atmosphere have been established. 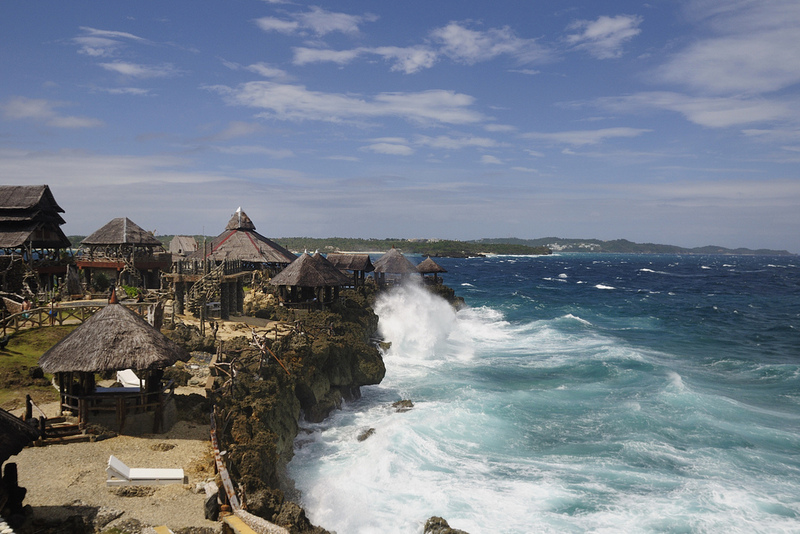 Virtually, every larger resorts runs its own restaurant with Filipino and International cuisine. 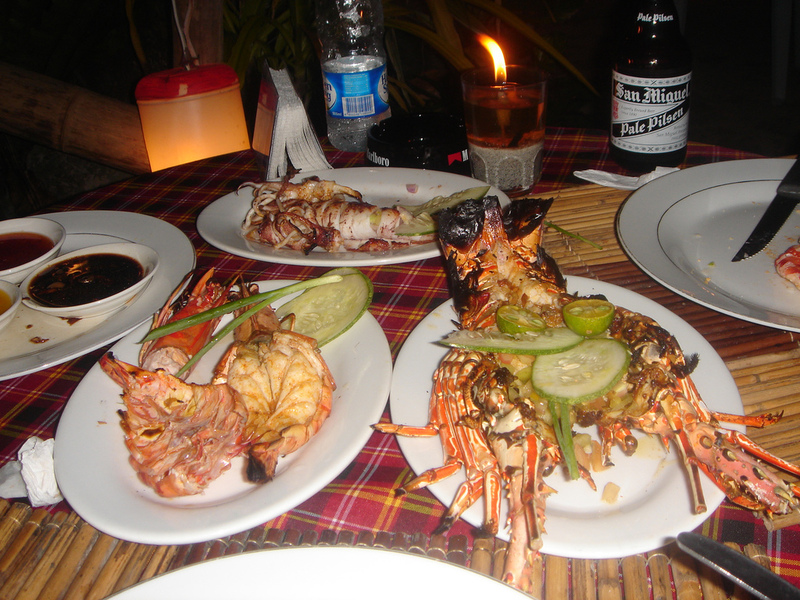 Apart from the specialty restaurants offered meals are usually similar in terms of prices and tastes. 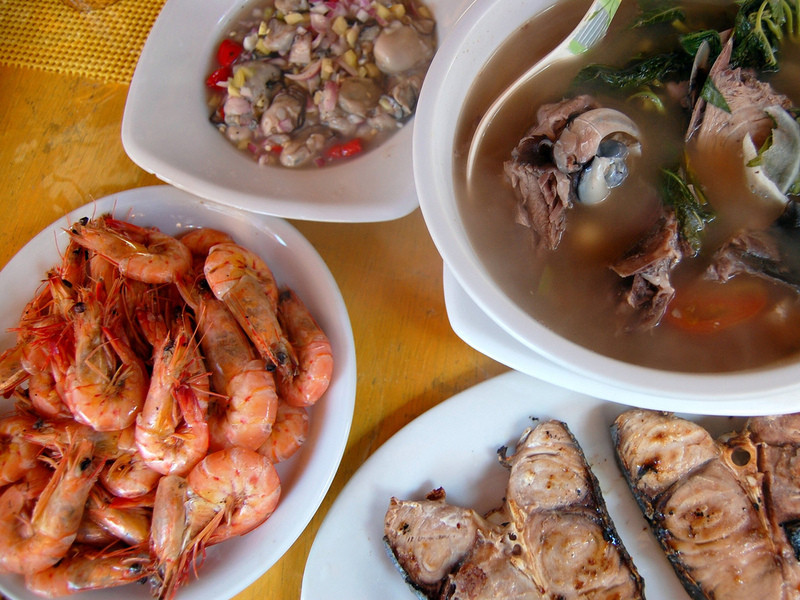 Fresh seafoods are at its best. A number of cozy meeting places for after dinner chat are available. Snacks and international cocktails are served. 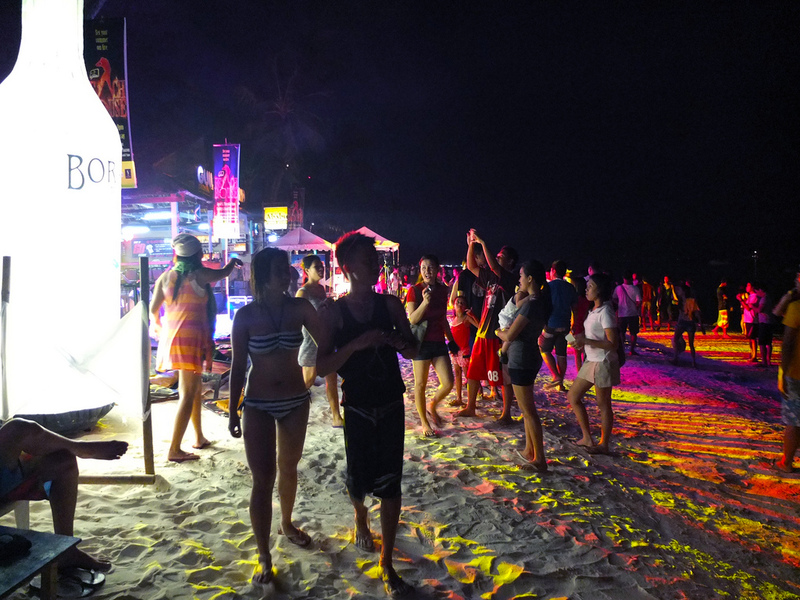 Disco dancing is an active interest in Boracay. The latest hits and visual effects are belted out by sophisticated sound and light equipment. 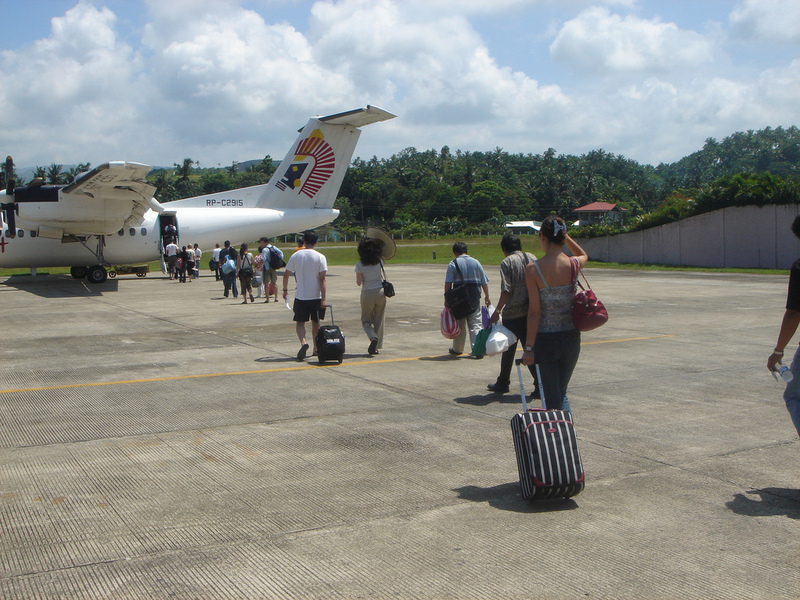 Philippines Airlines (PAL) provides three flights daily from Manila to Kalibo, the capital of Aklan Province. From Kalibo airport, air-conditioned coasters, coaches and vans are available for the one-and-a-half hour ride to Caticlan at P150/person. Or one can simply take the tricycle up to Kalibo town proper and board a jeepney for Caticlan for a lesser fare. The most convenient way is a flight to Caticlan, jump-off point to Boracay by private airlines such as Asian Spirit, Pacific Air and Aerolift. They offer daily flights by smaller aircrafts. All flights depart from the Manila Domestic Airport. 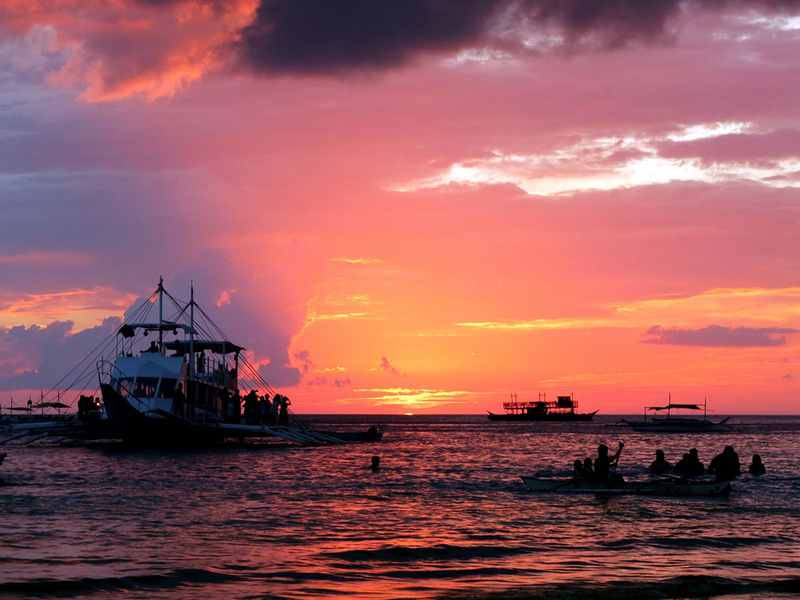 The cheaper route when going to Boracay is by boat to the port of Dumaguit or to the town of New Washington and then proceed to Caticlan by public bus or jeepney. 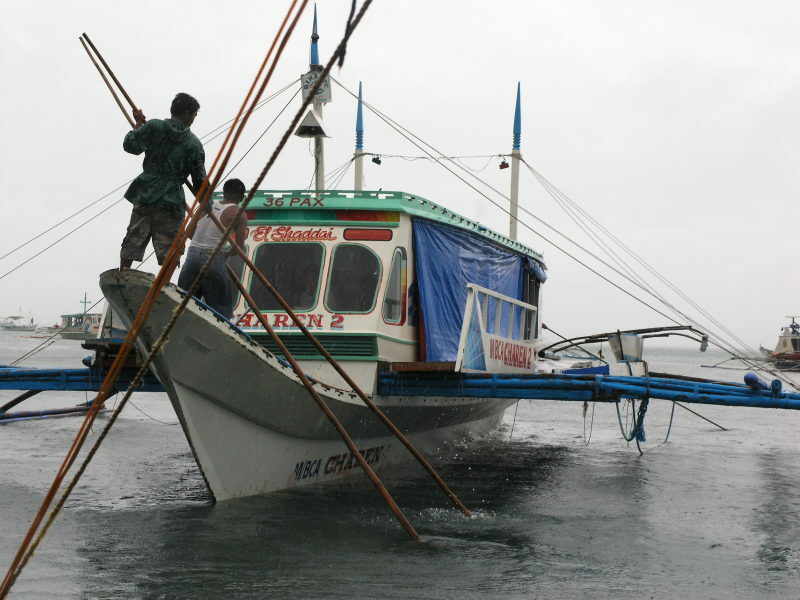 Boat trips are offered by WGA, Moreta Shipping Lines and Negros Navigation companies. All ships depart from North Harbor, Manila. However, it is advisable to inquire for accurate departure schedule before starting the trip. 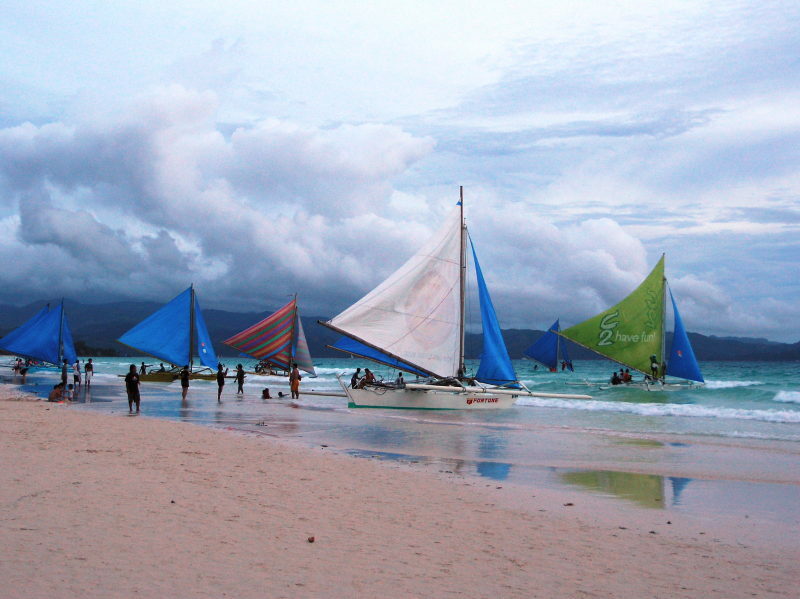 There are frequent banca ferry services between Caticlan to the white beach in Boracay. Passengers should proceed to the boat station at Caticlan to buy a ticket and register with the Department of Tourism (DOT). There are no piers at the landing points, so pack valuables in plastic and be prepared to get wet. Three docking points have been designated in the island along the long beach area. Boat station No. 1 at the northern most, Station No. 2 in the middle and Boat Station No. 3 at the southern end. During “Habagat” season (southwest monsoon), boats dock on the other side of the island to avoid strong waves brought about by such seasons. Ceres Liner buses and air-conditioned vans run almost hourly from Iloilo to Kalibo. The terminal on Iloilo is on Rizal St. (Tanza) and the trip takes about four hours. There are ordinary as well as express buses. A direct Iloilo-Caticlan bus service leaves Iloilo at 3:30, 8:30 and 10:00 a.m. daily. PAL flights to Iloilo from Puerto Princesa on Thursday and Sunday at 8:10 a.m.
Ceres liner buses leave Kalibo from their terminal near the junction to New Washington and Banga almost hourly. The trip takes around four hours. 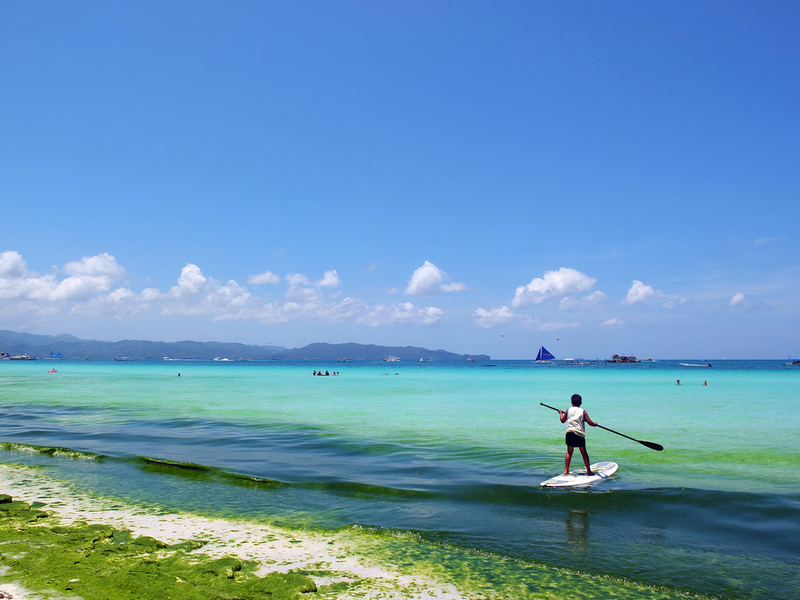 An island like Boracay with its beautiful beaches and emerald waters offer a natural invitation for water sports activities. 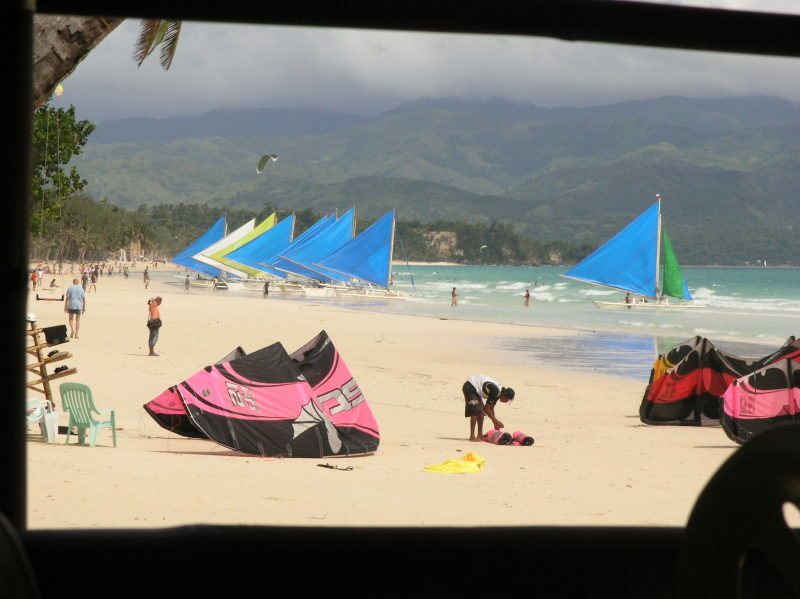 Windsurfing and water-sports equipment are available at prices almost everyone can afford (between 150 and 200 pesos per hour). 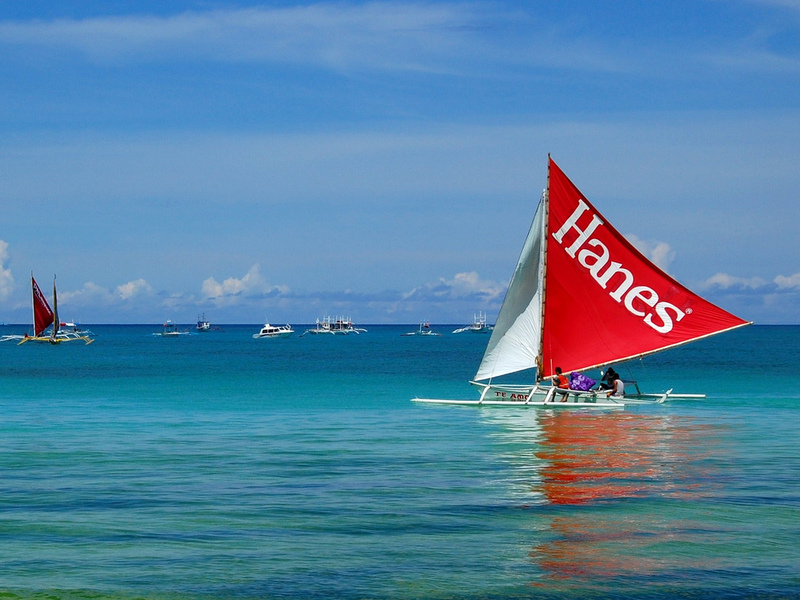 Outriggers for sailing are for rent at P150 half day or P250 the whole day. Sailing courses with instructors are available. Sailing yacht for cruise to neighboring islands, such as Romblon and North Palawan can be chartered from time to time. 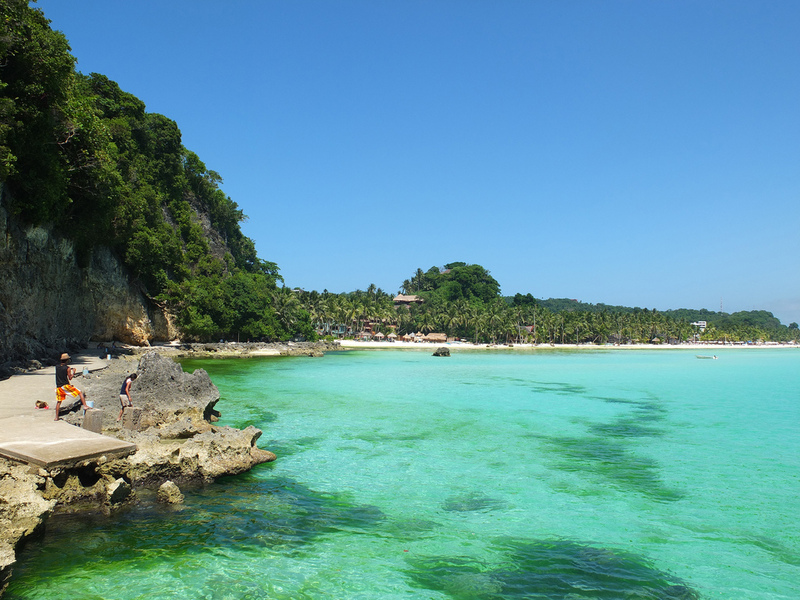 The palm-studded island of Boracay with its white, talcum-fine beach, balmy weather, and warm, crystalline waters is like a hypnotic magnet. 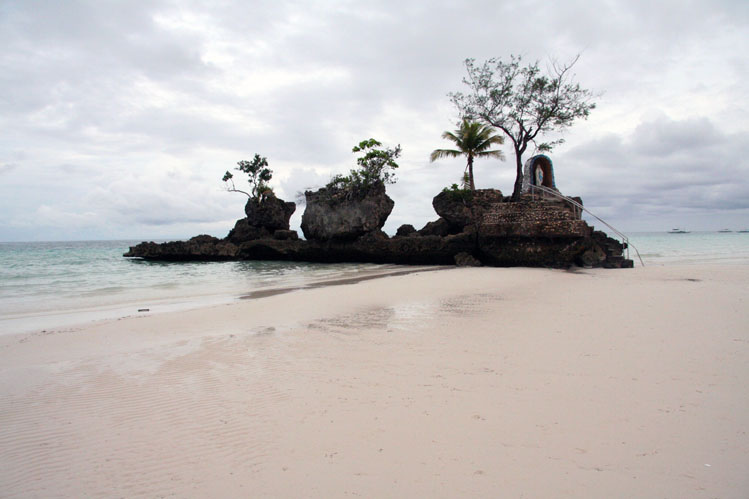 In this tiny, butterfly-shaped island at the northwestern tip of Panay in Western Visayas, days can be spent simply lazing on the beach while nights are for indulging in the tropical party lifestyle. 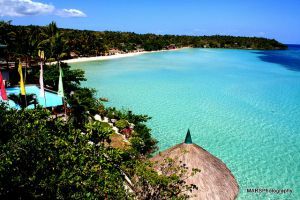 The best part of the island is the four-kilometer White Beach hailed as the finest beach in the world.  The surrounding water is shallow and the sand is finer and brighter than most beaches in the archipelago. White Beach is so fine, it feels like treading on miles of baby powder! 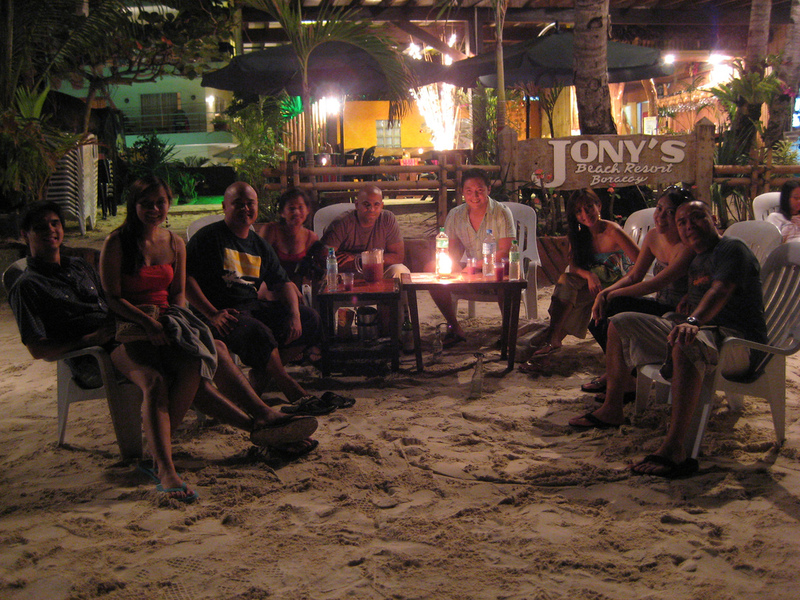 The code in Boracay is strictly informal. There is an undeniably easy atmosphere in the island, where walking barefoot than shod is the rule rather than the exception. 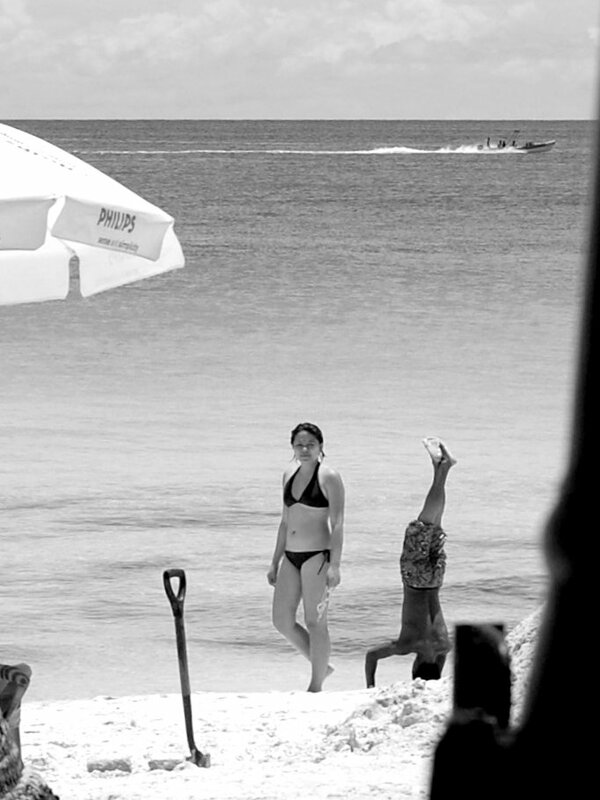 Even swinging discos have the beach for a floor, giving dance a new twist. There are no hang-ups here. During the day, tourists having a soothing massage under the shade of a coconut tree beside the shoreline is a common sight. 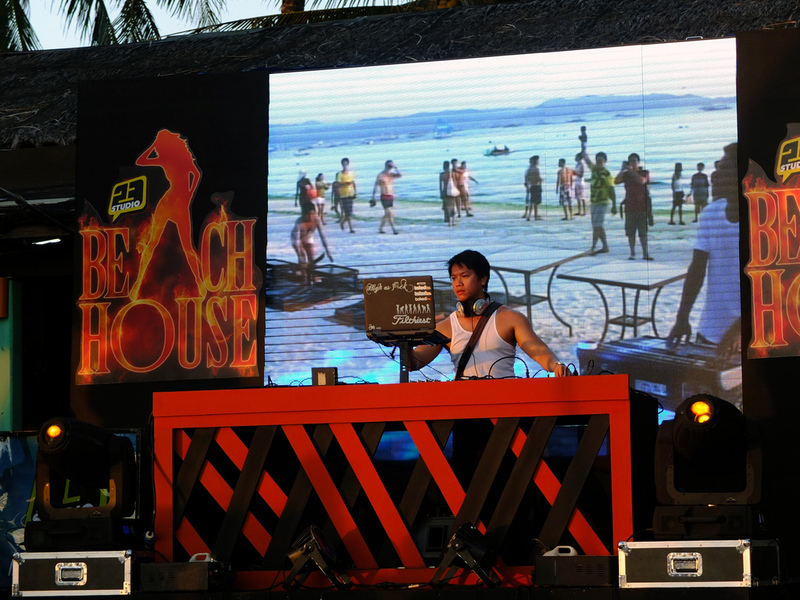 And from dusk to dawn, Boracay turns into one big party place where everyone is welcome to join in. But first, let’s toast that sunset cocktail! Diversions are not a problem, with leisure activities calendared throughout the year and amenities offered by some 350 tourist establishments. 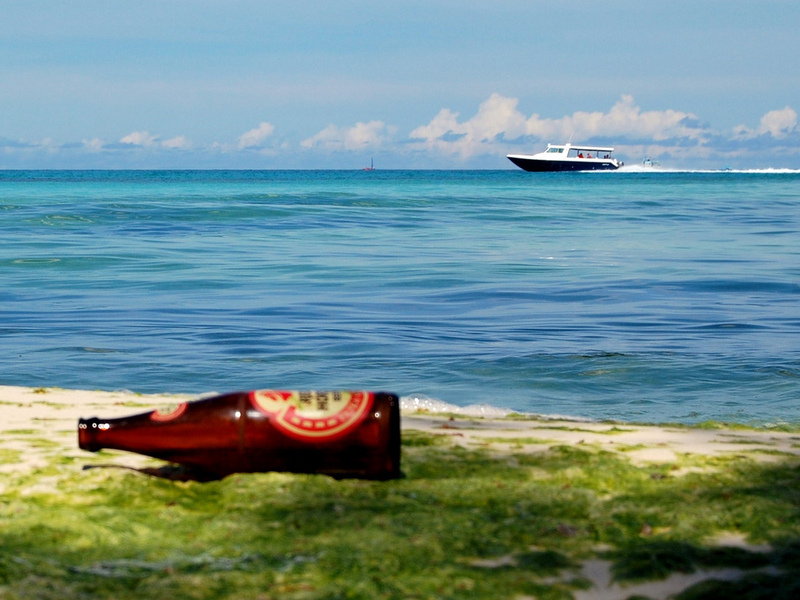 There is plenty to do other than beach-bumming and party-hopping. For the adventure-driven, there is “”Mambo Number 5” for a little bit of boating and wind surfing, a little bit of scuba diving, a little bit of trekking, a little bit of mountain biking, and a little bit of golf. On the eastern side of the island is Bulabog Beach, a sailboarding mecca that draws enthusiasts from all over the world, especially during the peak season from November to March. In January, it is the site of an International Funboard Cup. 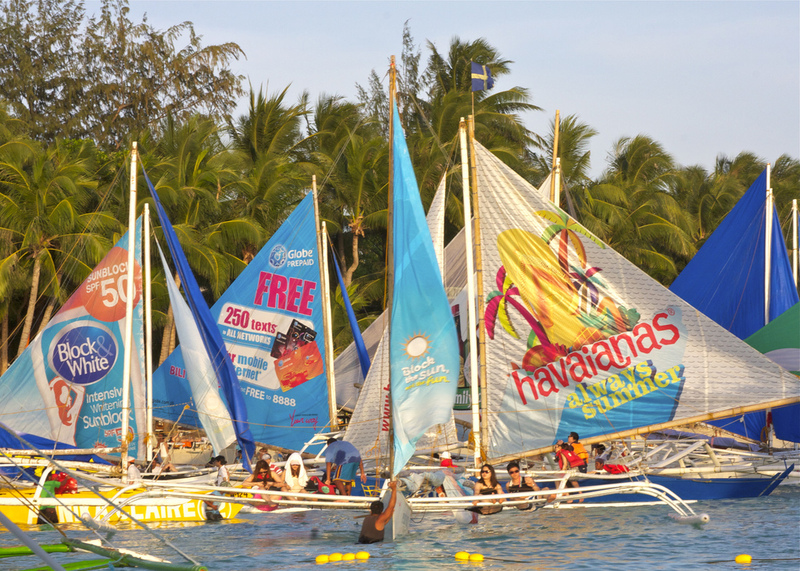 Sailboating and kayaking are popular sporting activities, with Boracay playing host to the annual Paraw Regatta, an international sailboat race that makes use of the native outrigger. 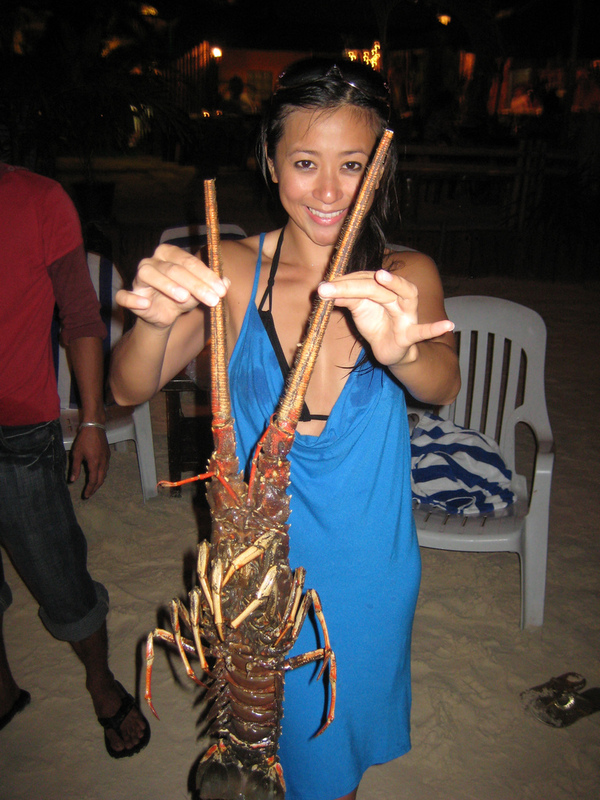 Dive sites surround the island and are learning venues to both novice and professional divers, guided by competent instructors of the many dive shops that operate in the area. Trekking and mountain biking can also bring the intrepid to the island’s quaint interior villages and to the edges’ scenic rocky cliffs, discovering along the way many hidden coves with isolated beaches far from the tourist crowd. And for golf bugs, Fairways and Bluewater Resort Golf and Country-club has an 18-hole championship course. 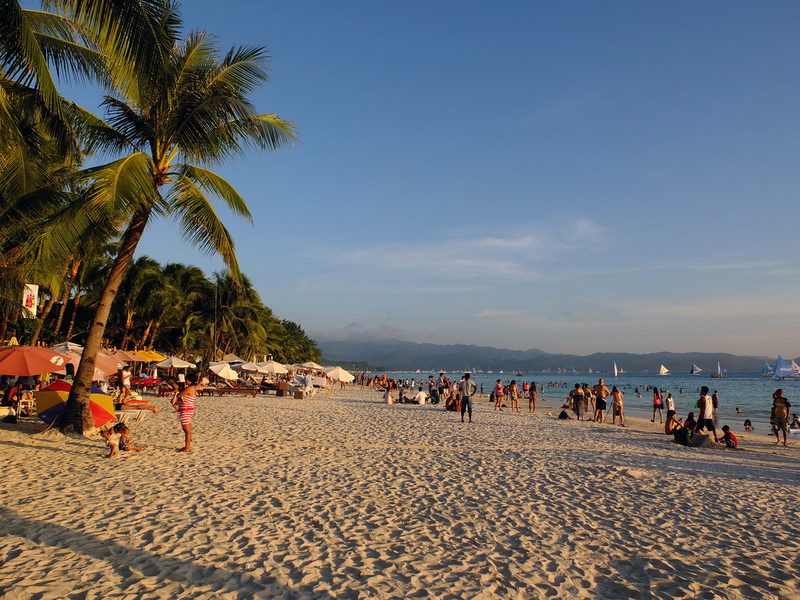 Boracay Island belongs to the Western Visayas island-group, Region 6 of the Philippines, along with the western part of the province of Negros, the island of Panay, and many smaller islands. 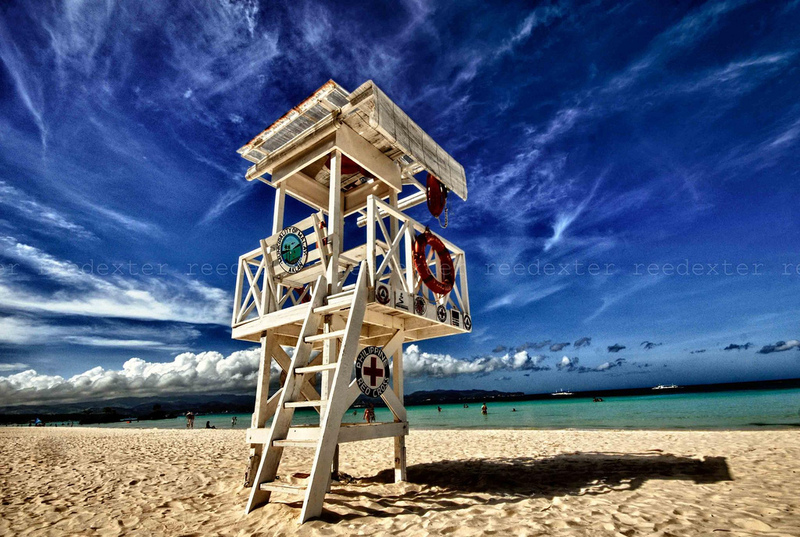 The westernmost island in Western Visayas, Boracay borders the provinces of Mindoro to the northwest and Romblon to the north. 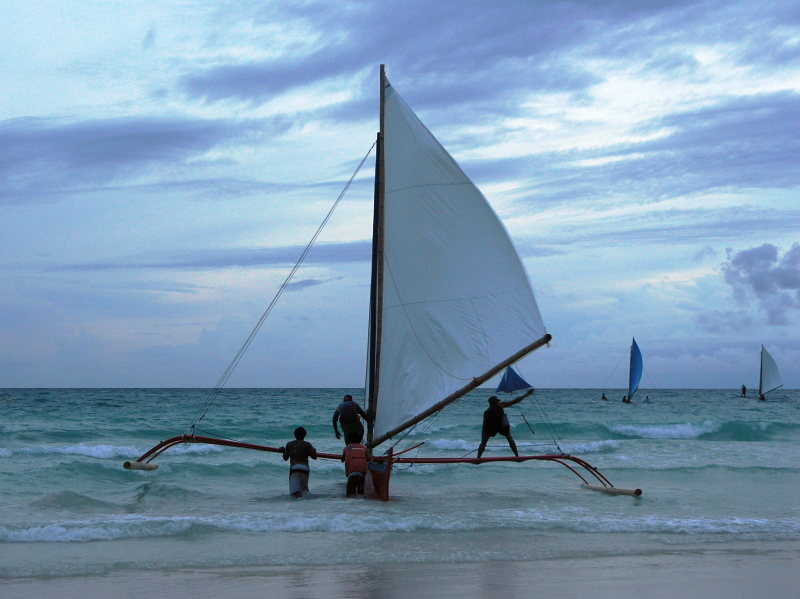 Other than Tagalog/Filipino and other local dialects, English is widely spoken in Boracay. Akeanon is predominantly spoken in Aklan, the gateway to the island. 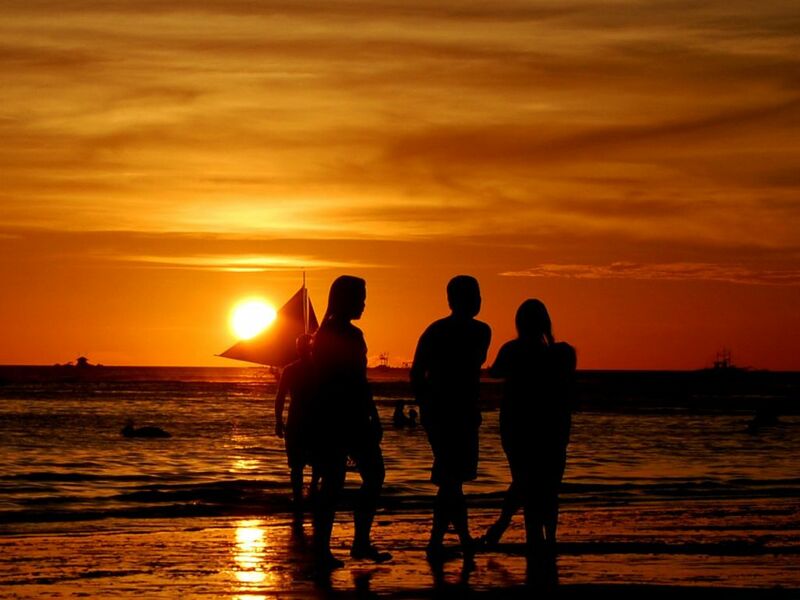 March to June are the summer months in Boracay, with temperatures reaching as high as from 28 to 38 degrees Celsius. November to February are spent with pleasant winds, cool nights, and occasional rain showers. July to October are the wettest months.